Thousands of years of water and wind erosion has left behind an elegant and colorful landform on the American Indian tribal lands of Northern Arizona. 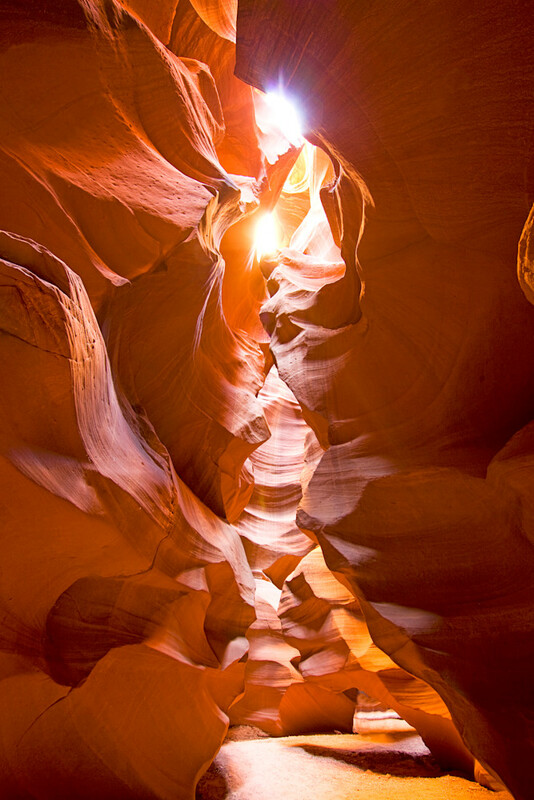 These images are taken deep in a "slot canyon" which can only be accessed with the permission and guidance of a Navajo tribal member. It's a pretty special and spiritual place; if you sort of look at this image without focusing on any one part of it, the shapes of all sorts of faces appear in the rocks, the result of naturally occurring erosion over time.